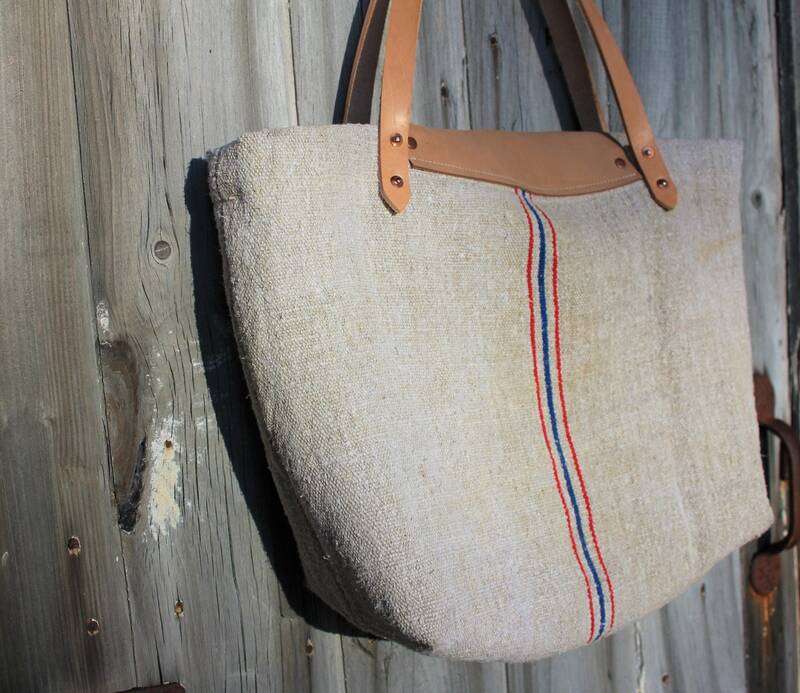 We used vintage Hungarian Grain Sack fabric to make this one of a kind tote. 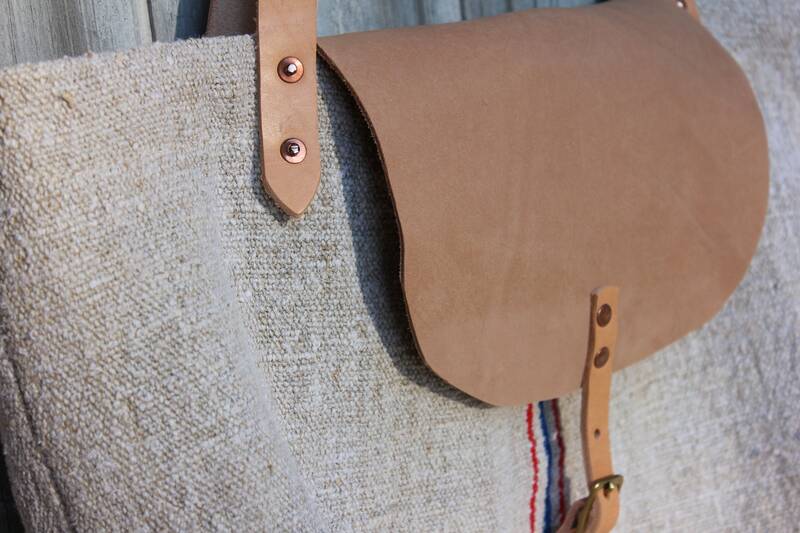 The Grain Sack is from the 1800s and was never cut into grain sacks. It was on the roll and in perfect condition! 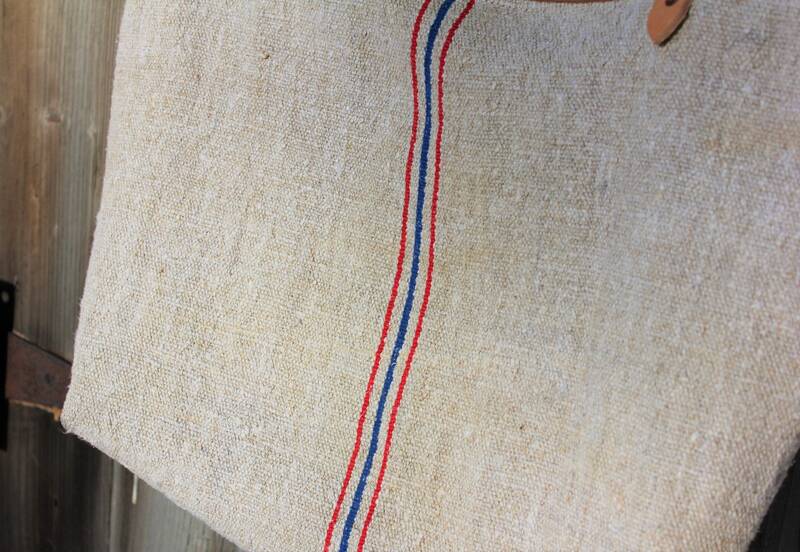 The fabric is very heavy with a beautiful texture to it but still soft to the touch. 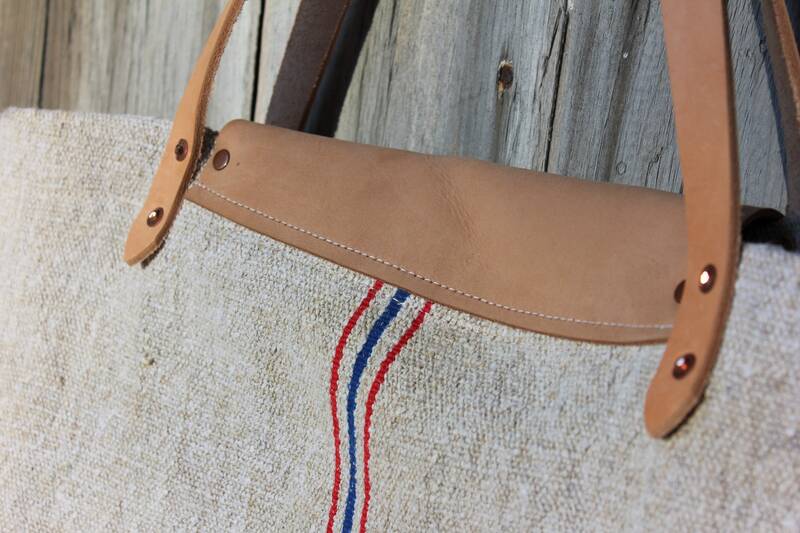 There is an amzing blue and red stripe running down the center of the bag on the front and back. 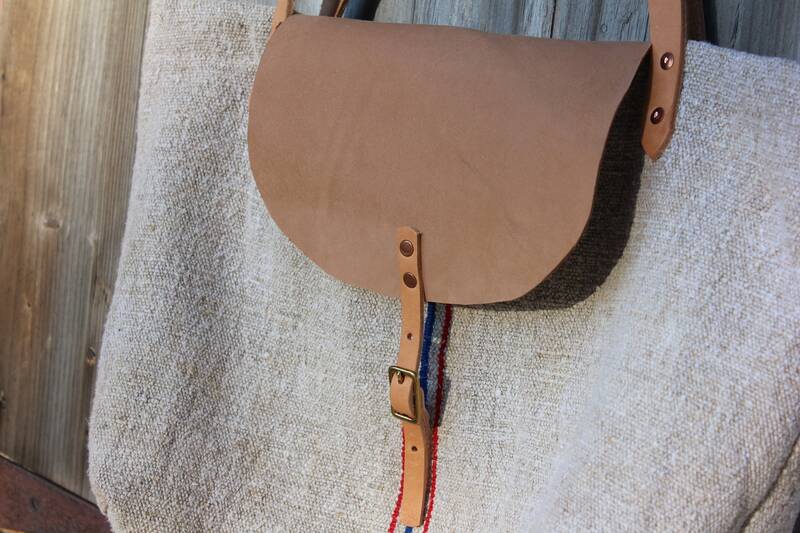 We added a leather flap to the bag with a leather and brass buckle closure. 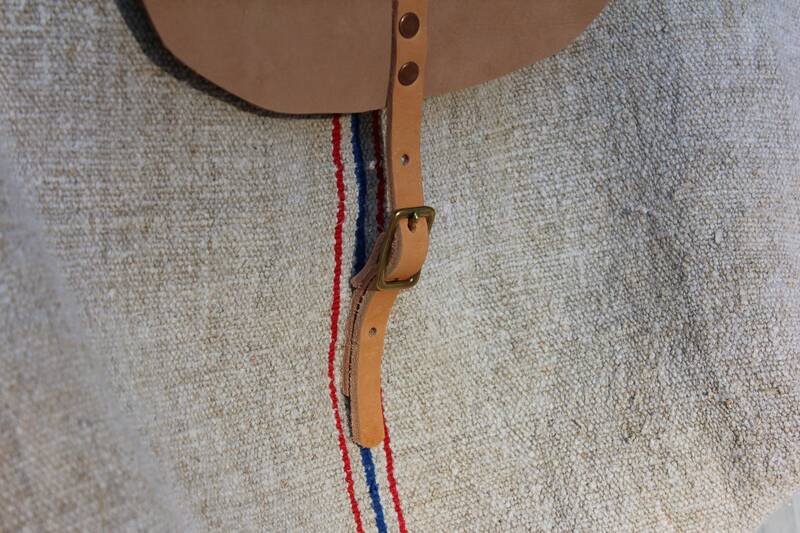 The strap is adjustable with several holes to adjust if you are carrying a lot. 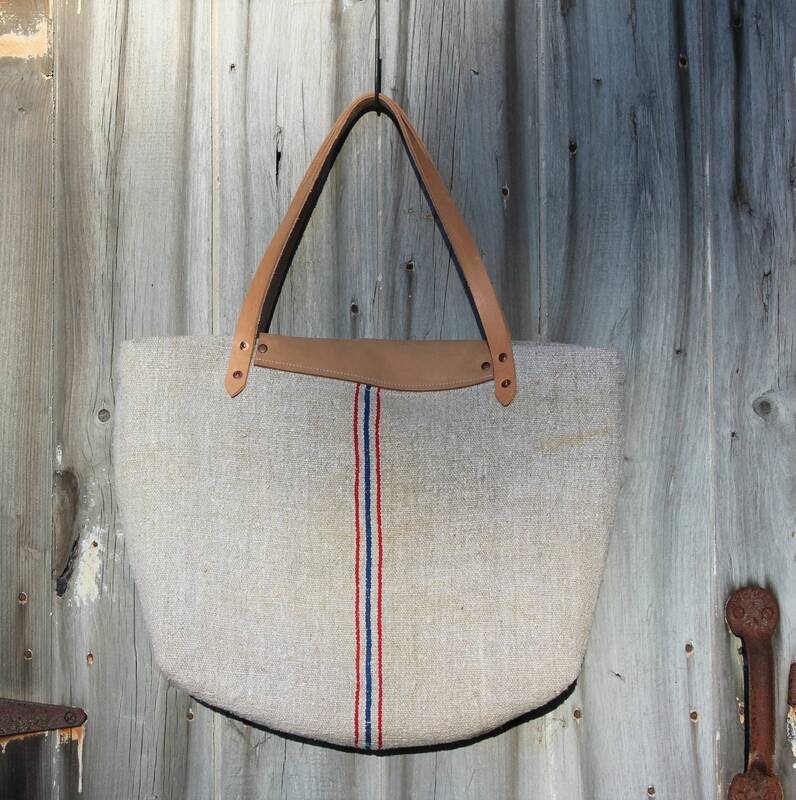 We made this tote quite roomy so it can be used as a market bag, chic beach bag or even a weekender. 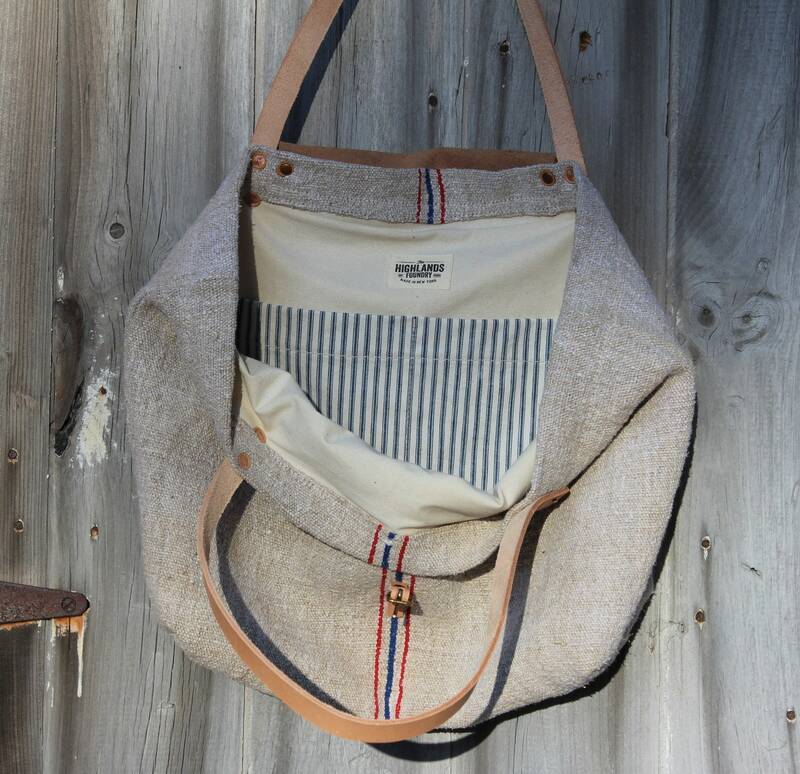 The bag is fully lined with a natural cotton canvas cloth with an interior double pocket made from vintage ticking stripe fabric. 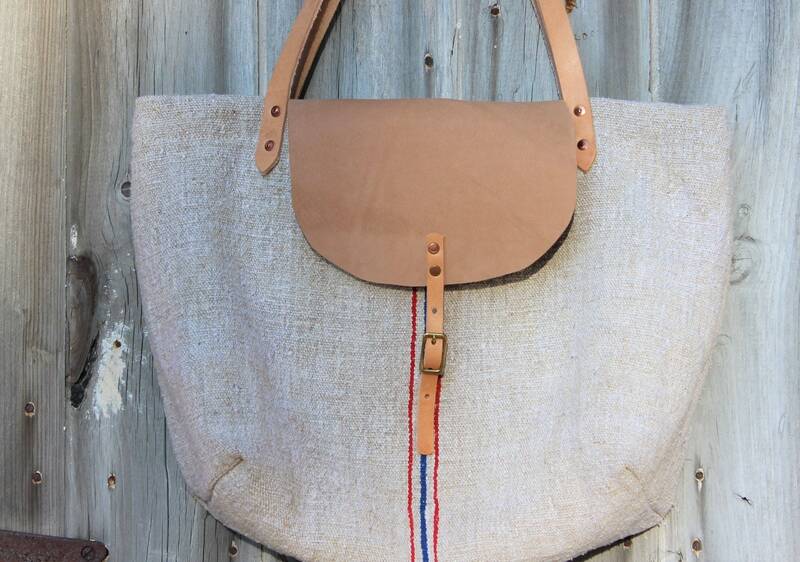 The straps are made from heavy vegetable tanned 9oz. 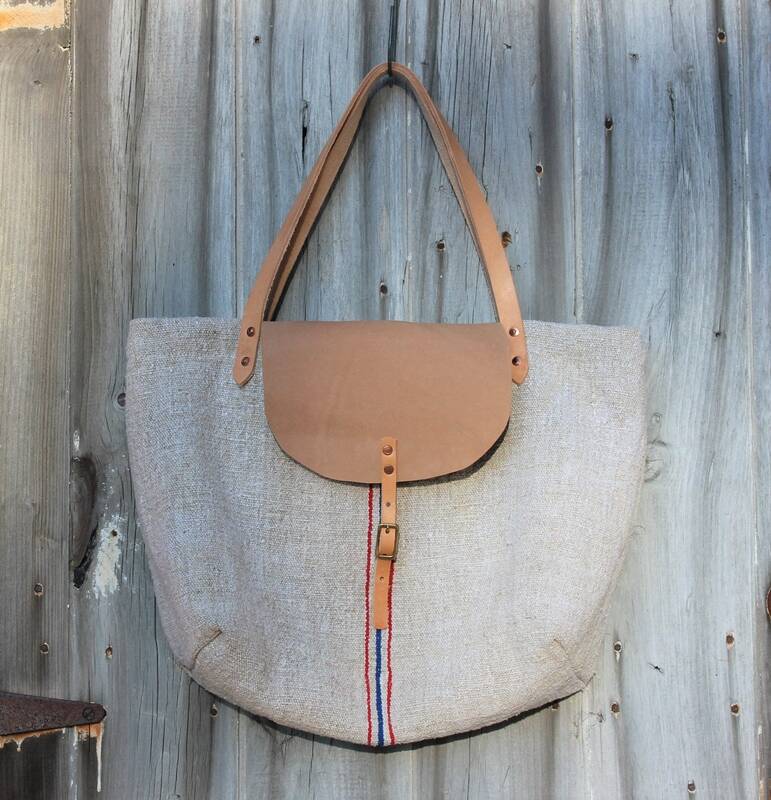 leather and secured with solid copper rivets.